How Much Money Was Earned By UFC Fighters in 2018? How Do MMA Fighters Make Money? How Are UFC Fighters Paid? For anyone looking to get into the professional world of MMA, there always seems to be an overriding question about the industry. How much money do MMA fighters make? Unfortunately, the answer to that question is a little bit more complicated than most sports. Despite its recent explosion in popularity, MMA is still a very niche sport, with very little coverage from media outlets. However, thanks to fighters like Conor McGregor, the pay for top tier fighters has substantially risen. Unfortunately, there is still an incredibly large pay gap between the top of the mountain to ground floor fighters, especially in the UFC. This large wage gap has been known to stop a fighter’s rise to stardom due to not being able to afford things like fight camp and a roof over their head. Unfortunately, because MMA isn’t entirely regulated, there are still numerous financial problems, which many casual fans have no idea about. A big problem starts on the ground floor, where newer fighters aren’t able to secure big agents that rookie NFL and NBA players are able to get. Also due to a lack of a “Fighters Union” that many other sports have, they have nobody to have their back when it comes to negotiating a pay that they can happily live on. So how much money do MMA fighters get paid? Well, figures show that 187 MMA fighters signed to the UFC earned a six-figure salary in 2018. However, 37% of MMA fighters in the UFC’s roster list made less than $45,000 in a year, which is below the average U.S.A household income. The UFC has stated that the average income of their fighters was around $138,250, however, that also includes outlier earners such as Conor McGregor and Jon Jones. Overall though, the median income for a fighter on the UFC’s roster is $68,500, depending on how many fights they have in a year. How many professional fights they have already had. Their popularity in the sport. How they negotiate their initial contract. Unfortunately, this does mean that many fighters are paid below what they should be paid, but the notoriety and the prestige of the UFC does mean they are able to play with the numbers more than most organisations. Thankfully, thanks to today’s modern age of advertising fighters are able to make money outside of their organisations. There are a few things that fighters can do to make them money outside of the octagon. Things such as Instagram endorsements, sponsorships, product development, private training & seminars all bring in extra cash to keep them afloat. However, in 2018, 33% of the fighters signed to the UFC were able to earn a 6-figure paycheck from the organisation. However, if you put this into perspective and realise that the average US household income is around $45,000 a year, over a third of UFC fighters are below that threshold. Thankfully, there is good news, due to the recent popularity in the sport and new organisations growing these figures are rising. But like we said before, there are numerous ways fighters can make money in the UFC and we will go into a few of the main money makers in the sport. Thankfully, fighting is actually a day job for most of these people. Otherwise, why would they go into this sport? Fighting, for most fighters, is their number one source of income. But let’s break this down further and talk about the average fighting salary, from best until worse. In 2018, the average fighters in the UFC made $138,250, which is actually up from average earnings of $132,109 in 2017. These figures are unfortunately skewed by high-paid fighters such as McGregor and Jon Jones who usually take home millions of dollars, especially after their PPV cut and Reebok sponsorship. McGregor was also an incredible outlier in the UFC because his whiskey brand Proper Twelve had a lucrative deal where he would get cage sponsorship during his fighters. Only 197 fighters in the UFC are currently earning a six figure salary. When you compare this to an NFL rookie’s salary of $450,00 a year, this is very poor. 15 men and women who wore the UFC championship belt (including interim) earned an average of $783,400, which is up from $666,643, however this could also be due to the increase of interim champions in 2018. 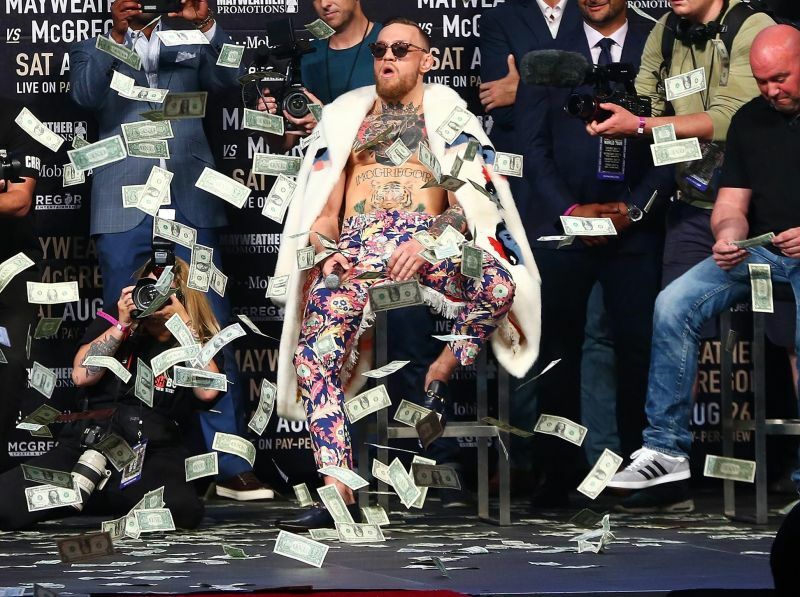 The highest earning non-champion in the UFC was Conor McGregor in 2018. He pulled in an eye watering $3,030,000, which was only his base salary. This did not include any fight of the night bonuses, PPV shares, or reebok sponsorship money. It is worth nothing that these salaries do no include things such as bonuses such as Fight of the Night, Knockout of the Night, Submission of the Night, or Reebok payouts. All of which have become public since UFC 189. When reebok became the prime sponsor of the UFC, an incredible amount of fighters lost out on fighter sponsorships. Before this came into effect fighters were able to roll out a banner of all the companies and brands that had sponsored them coming up to their fight. These sponsorships would significantly improve a fighters income. This was scrapped by the UFC, when they announced that all fighters were required to wear reebok issued fightwear. Under the new Reebok structure, fighters are paid on a tiered system depending on different requirements, how many fighters they’ve had under the new Reebok system if they were a number one contender, or if they are a champion. This Reebok payment structure has since come under major scrutiny when UFC fighters announced they were losing considerable amounts of money because they were not allowed to advertise third-party sponsors in the octagon. However, outside of the UFC, the act of 3rd party fighter sponsors is still very much welcomed and encouraged by big organisation such as Bellator, Cage Warriors and XFC. This gives fighters on a smaller fighting organisation the chance to earn a living by advertising their sponsors before they fight. Thanks to modern technologies and social media, fighters have been able to promote products on their accounts to promote companies products. An example of this is Modelo, or Body Armor, who sponsor fighters such as Cody Garbrant to do promoted posts and have their training pictures taken while wearing their products. Fighters are able to become social media influencers and sell themselves and their accounts to make more money. However, there are some more lucrative deals out there for the top-tier fighters. if you’re a world champion, you are able to sell yourself for a lot more money and features in international brand campaigns. A great example of this is Conor McGregor’s endorsements with Burger King. His television ads were on during major sporting events and these deals also used McGregor’s social media account, which as millions of followers. We talked about endorsements earlier, however, these type of lucrative deals are only for the “best of the best” when it comes to mixed martial arts. Companies such as BodyArmor have a few special athletes from the UFC that they endorse. These athletes are either already World Champions, or they’re up and coming MMA fighters that are seen to have massive potential in the sport. Another great example of this is Modelo, who signed former UFC heavyweight champion and fire fighter Stipe Miocic for an advertising deal. His commercials were seen on prime time television and just showed how far this sport has already come. These days more and more UFC fighters are looking into the long-term and are forming companies that will help them earn money once their fighting days are over. A prime example of this is Conor McGregor’s Proper Twelve whiskey. In fact Conor’s whiskey is doing so well for him, he recently retired from the UFC to concentrate on this more. Other fighters such as TJ Dillashaw are headed towards to food products. TJ has promoted his seasoning brand Flavour Republic for a number of years. A lot of MMA stars give up their time to teach and train their own students. 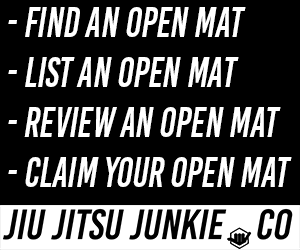 A prime example of this is Bellator fighter and number one contender Raphael Lovato Jr, who regularly teachings Jiu-Jitsu seminars outside of his training camp. A lot of fighters make a number in their own sport, such as Brazilian Jiu-Jitsu and Muay Thai, where they can charge obscene amounts of money for a seminar. Fighters have also been known to charge $1000s for private one-to-one sessions, where they share their knowledge and allows up-and-comers or hobbyists with money the chance to train with their heroes. Fighters in the UFC are paid a base salary after fight night, no matter if they win or lose. However, there is a “win bonus” as an incentive to win the fight and earn more money, The win bonus is usually the same as the base salary, meaning that if a fighter wins their fight, they get double the money, a nice incentive. However, this isn’t the only bonus fighters can get during fighter night, put on a great scrap and you’ll be rewarded with a nice Fight of The Night Bonus or Performance of the Night Bonus. These bonuses can earn a fighter an extra $50,000, so you know they’re going to be swinging for the fences or looking to tear some limbs off. UFC fighters are paid a set fee which is negotiated when they sign their contract. This is irrespective of a win or loss. When a contract is drawn up, a fighter is able to leverage their popularity and fight record to gain a better base salary, however, outliers such as CM Punk can demand a greater base salary due to their previous celebrity status. We touched upon this bonus earlier, and many people including UFC commentator Joe Rogan are strongly against the UFC’s win bonus structure. Insisting that they should pay fighters a high base salary instead. However, for fighters on a winning streak, this is a significant boost in income where they can double their base salary. Bonuses are something all UFC fighters strive for to help increase their earnings. The UFC will award a Fight of the Night and a Performance of the Night every event. The Fight of the Night bonus is fairly self-explanatory, the best fight on the main card or prelims will receive this bonus, and both fighters will get an equal share. Performance of the night bonus goes to the fighter who performed the best, this includes the best submission, best knockout, or dominating performance. These bonuses are worth $50,000 for a fighter, so it’s not surprising you see fighters call out Dana for the bonus after a dominating performance. As of 2014, Reebok announced a multi-year deal with the Ultimate Fighting Championship. because of this they also announced that they would sponsor each fighter via a tiered payment structure. So we’ve talked about earnings in MMA, inside and outside of the UFC. But who actually makes bank when it comes to this sport? It’s important to remember that these earnings are not just base earnings, but sponsorships, bonuses and products can also make up their own salary. Fighters with some estimated purses are marked with a * in the list. This should still be considered very close to accurate, as most fighters’ purses remain rather steady from fight to fight (unless they organise a new contract in the meantime).